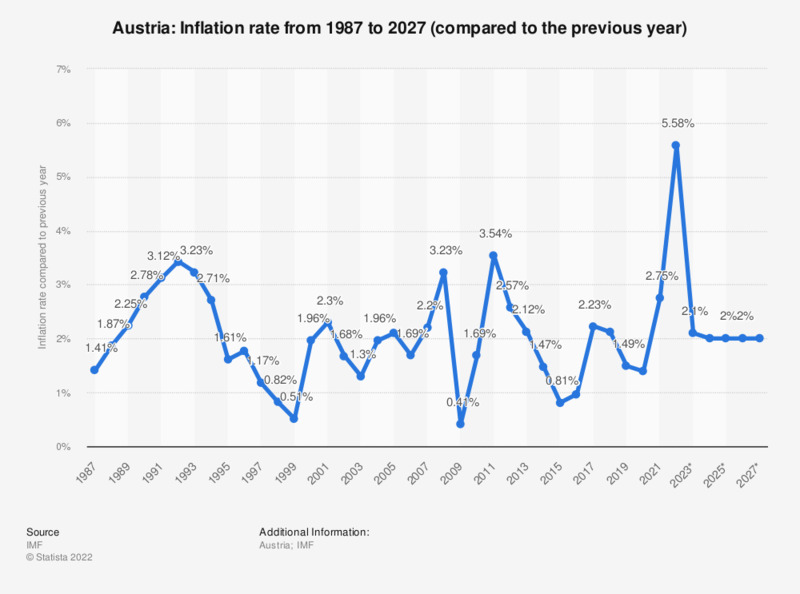 This statistic shows the average inflation rate in Austria from 2014 to 2017, with projections up until 2024. In 2017, the average inflation rate in Austria had amounted to about 2.23 percent compared to the previous year. Everything On "Economic Outlook Austria" in One Document: Edited and Divided into Handy Chapters. Including Detailed References. Statistics on "Economic Outlook Austria"